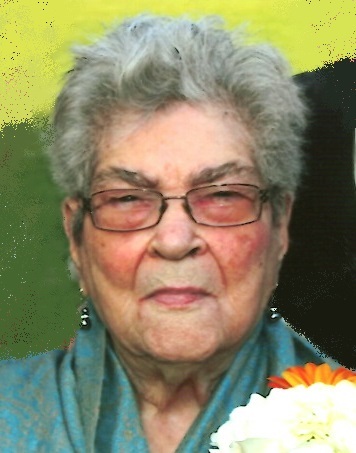 Obituary for Jane (Villedrouin) Camille | Shore Point Funeral Home and Cremation Services, Inc.
Jane Camille, 105, of Lincroft, New Jersey, passed away peacefully surrounded by her loving family on Sunday evening, April 7, 2019 at Bayshore Health Care and Rehabilitation Center in Holmdel, New Jersey. She was born Jane Villedrouin on October 21, 1913 in Jeremie, Haiti, where she was raised. In 1967, Jane relocated to the United States, settling in Queens, New York for many years. In 1993, she moved to Lincroft, New Jersey to be closer to her family. Jane was a beloved wife, mother, and grandmother who was greatly loved by her family and all who knew her. She was an extremely caring and giving woman who was always willing to lend a helping hand to everyone around her. She will be deeply missed, but never forgotten. She was predeceased by her parents, Charles and Angele (Bertel) Villedrouin, her beloved husband, Lelio Camille, and her dear siblings. Jane is survived by her loving children, Roger Camille and his wife, Carolle, of South Carolina, Marie Angele Mastroti and her husband, Gustave, of Poughkeepsie, New York, Myriam Barthole and her husband, Carl, of Lincroft, New Jersey, Simon Lemaire of Haiti, Ernst Camille of Haiti, and Eliane Moraille of Haiti. She is also survived by her dear sister, Lilliane George and many cherished grandchildren, great grandchildren and great-great grandchildren. Arrangements were entrusted to the Shore Point Funeral Home and Cremation Services, Inc., 3269 State Highway/Route 35 North, Hazlet, New Jersey 07730. In respect of Jane's wishes, she will be privately cremated. Family and friends are invited to attend a Mass of Christian Burial on Saturday morning, April 13, 2019 at 9:15 AM at The Church of St Leo the Great, 50 Hurleys Lane, Lincroft, New Jersey 07738. For information, directions, or to send condolences to the family, please visit, www.shorepointfh.com.